A sensitive massage of wellness, it is offer a time for onesel... It is an invitation to deep relaxation... The masseur offer without command, is listening to the massaged, adapts himself to the massaged's respiration, on a tension relaxation pace... Then a non-verbal dialogue is created in which the massaged became player. 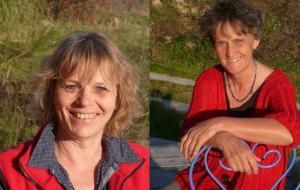 In La Ferme D'Antan : possibility to enjoy a massage by appointment to : Bernadette COUTIN (06 22 85 00 58) and Mireille BOUCHON (04 75 88 84 07). Certified in Sensitive Massage® of Wellness by the INFOMECA. 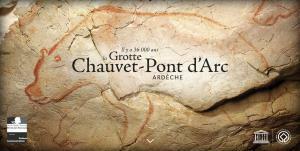 Sunday 22 june 2014 at 14h45, during the 38th UNESCO's session at Doha, Decorated cave of Pont d'Arc , known as Grotte Chauvet-Pont d'Arc, Ardèche was registered unanimously on the cultural assets list of UNESCO World Heritage. The world's largest replica of a decorated cave will open on the 25 April 2015 enabling you to discover the first masterpiece of Humanity !